I have been reflecting on those people that make up my family today. Its changed in such a major and amazing way. Besides being the blingingest missionary ever(or just feeling that way), I must say the growth of what I consider my family is a huge blessing. I have more support, care, love, quality, and strength from those around me that I feel its nearly unfair. From my boys and family in Ethiopia, my church and friends in Dc, to my biological family in Philly, and my growing family in other places.. What a huge blessing of people in my life and what conviction to pay it forward I feel. I am excited to get back to see my boys. They will be so angry at me for being gone way to long, but I am going to hug the crap out of them! Hopefully there won’t be too many injuries from the loving headlocks and wrestling matches upon my return. I am in awe of what God has done during my time in the US. He has been with the boys and team in Ethiopia and kept them strong, He raised a ton of money, He has given me some added special relationships, and has rejuvenated me more then I could have expected or hoped for. Thank you Lord for my Family and your Love. I got my swagger back.. For those old school folks google the urban dictionary for meaning. I left Ethiopia needing a punch in the face with Gods love, grace, and His rejuvenating spirit.. GOT IT. After two months of meeting with strong friends, bragging about my boys, setting up the fundraiser and more, my PASSION is bursting! I am tearing up nearly on the hour.. Its nuts. Yesterday I teared up like four times talking about my boys, listening to Cori Wittman talk about her girls, and just sensing God’s love. The fundraiser was a huge success. Unbelievable. At least 45 people gave, more came, and we reached the goal! The grand total was $35,721.96! That includes commitments and the generous match but leaves out many folks that have said they would help. The ministries goal of $20,000 was easily met along with my yearly needs of $15,000. I have to discern how much of the checks made to me go to the ministry but that’s another matter. PRAISE GOD! My brain is racing too much to write well. All I know is that God is the best. Bullet form thoughts, read which ever ones you want. -I have jumped off a 230 ft cliff, pet lions in Africa, sold all I own and moved to Ethiopia, but the adrenaline of this last week has outmatched most of that. -I TOLD YOU SO! I told many people that we would reach more than the $35,000 goal I felt called to set. My faith is unshakable and I am grateful! -NCC, my church. Just not enough words to express the support and amazing things they are doing. – Honestly I am curious how or when Satan will attack because this is so obviously God’s will and power and the enemy has to be ticked off. -Self proclaimed “realist” and Myers Briggs proclaimed “pessimist”. How can I be? The reality is God has just been ridiculous, which redefines my realism every day. -I say ridiculous too much, but how else do you describe His power, sovereignty, greatness, grace and love? -It’s a beautiful day, lots of Sunshine! – Lord! Keep my ego, selfish ambitions, lack of wisdom, lust, and envy away from your will!!! Your use of my imperfections is PERFECT! -I have barely slept and not eaten much all week. Have so much energy, BREAD OF LIFE. -My boys are going to be so angry at me for being here so long, but I even want to see their angry and sometimes annoying faces! -I don’t deserve this. I wish all those who invested in our boys gets to witness what God is doing better. -I have no anxiety, worry like I used to. But the responsibility I know must have to honor God is so high. That’s exciting! -I really need to refine my leadership skills. Im a poor display. Oh Mark Batterson, you’re the man but big shoes to fill! Huge challenge but thanks for the conviction. So amazed at his leadership. -Love the idea of being sanctified, but regrettably love how my personality(who I am today, inappropriate and other flaws) is a clear testimony to God’s power and not my own. It just can’t be me! TRUST ME! Awesome. -How funny are humans, me? I set the original bar at $20,000! HA! What an idiot I am, God is beyond all that. -Ask and you shall receive. The prosperity gospel repulses me but the reality of God’s blessings DO NOT REPULSE ME. -What a “God High” I am on. I thank Him for this peak while I walk through the valleys in the future! -Weirdest thing, I am just getting started, only 2.5 years into going all out for Christ. 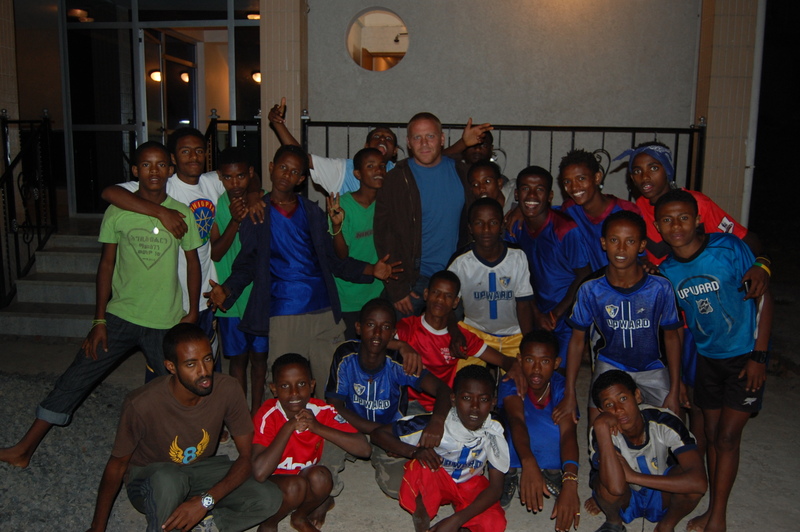 -My passion for street children continues to grow. I have tears at the surface every time I think about, talk about, or look at photos of my boys. Tears of joy. -I set the $20,000 goal for project and a $15,000 for my 2012 income. Reached both easily. I need Heavenly wisdom to discern this. I need clear checks and balances in my life. I do praise Him though for my genuine heart and the ease I find in handling his money with integrity. -I owe so many people thanks! -Repeat after me! MIRACLE. They are out there for everyone God is real. What more proof does anyone need? Only about 3 minutes of your time.